any of us will ever make. Whether you are a company looking to hire or contract one of our talented candidates, or whether you are a job seeker looking to pursue a new and exciting opportunity, BlackShire is your recruiter of choice. 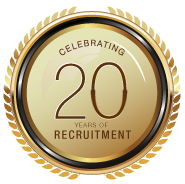 We not only take on recruiting challenges where other search firms have failed to yield results but we also provide a Recruiting Service Guarantee. "I have known Brian for many years. Over those years, I have always appreciated BlackShire's professional approach to finding the right person for the right opportunity. Brian's dedication to his craft and his clients is of the highest order. I have found both his diligence and his advice to be invaluable." "I have had the chance to work with a few recruiters over the years and can honestly say that very few have exhibited the caliber of Integrity, Trust, Consistency and Great Personality that Brian brings to the role. He was exceptional in his interactions in keeping me informed throughout the recruiting process, proffered valuable advice as needed and remained positive & pragmatic throughout." "I had a chance to work with a few recruiters in my career for self and for hiring my team. BlackShire is one of the best, providing mentorship in the process. BlackShire has been excellent in following up relentlessly with me and in providing help, even after the fact. Brian is a true professional, witty, confidential and personal. I look follow to work with them again."